Our choir members are people who like to sing together and enjoy each other's company. 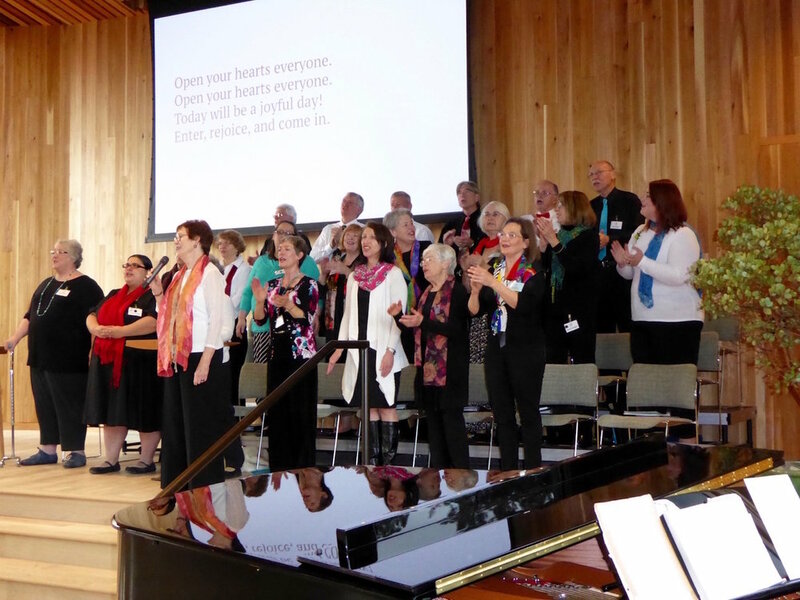 The singers bring varying degrees of musical talent and expertise to the group, and our choral repertoire consists of diverse musical genres that offer messages of hope and insight. We do not hold auditions, but the Music Director is happy to meet individually with anyone wishing to explore their musical ability and determine appropriate vocal placement. We sing twice a month with weekly rehearsals during the regular program year. You are invited to come and join this congenial group! Rehearsals are on Wednesday evenings. For specific information, contact our Music Director. In addition to the choir, there are opportunities for instrumentalists to be involved in the music on Sunday mornings. Please let the Music Director know of your interest and what instrument(s) you play. Hymnals are available at each service, and the words to each song are projected on a screen at the front of the sanctuary. If you would like to own a copy of your own, these are available for purchase online through the Unitarian Universalist Association (UUA) or online booksellers. 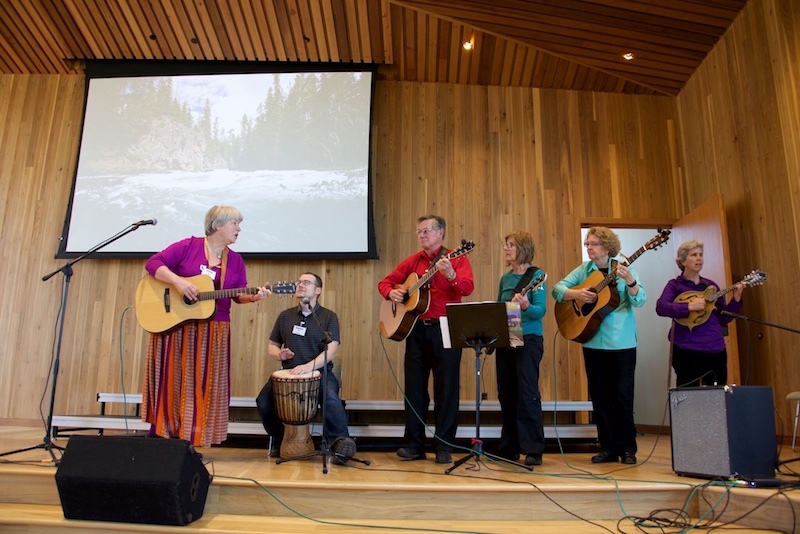 Read more UUA music information.